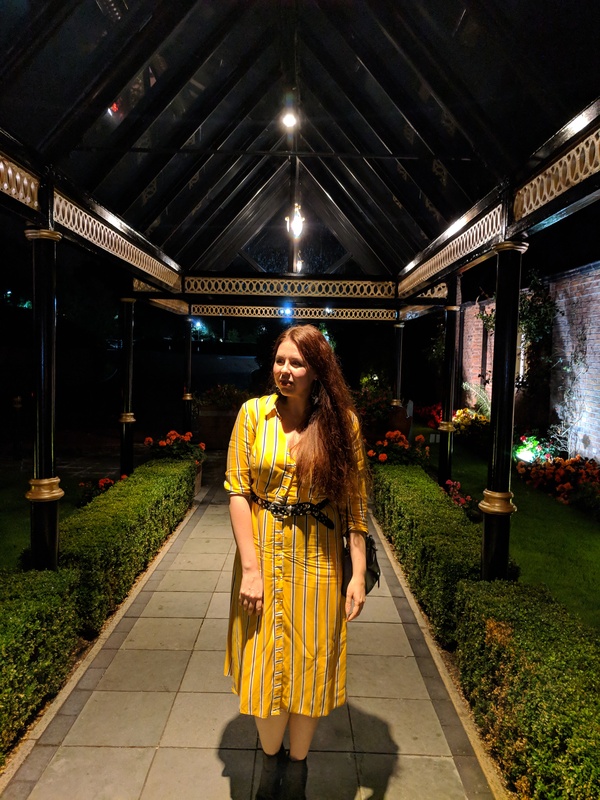 Nestled within the lush greenery of Worsley Park Marriott Hotel & Country Club, Grill in the Park, thanks to its recent refurb, offers cosy chic in a way that is that rare and beautiful paradox of being both elegant AND relaxed. A place that is both special enough for treat and absolutely comfy enough for the everyday week night too! Yes, this is the hotel’s restaurant but the doors have been firmly flung open for the those that wish to enjoy all it has to offer but aren’t a resident. With Executive Chef Tom Gardner at the helm the menu is carnivore heaven but that doesn’t mean it is hell for our veggie friends, with options that could turn the most hardened meat eater. The refurb included a £16k spend on the grill alone – which, for a restaurant that has put “grill” at the heart of its name, shows the investment they are making in taste. So what DID we plump for on the menu? 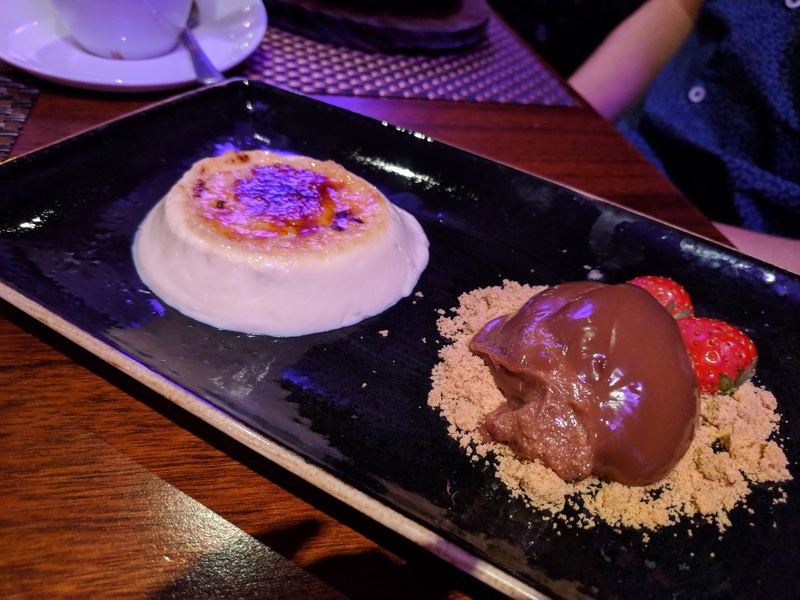 Well, making a decision was somewhat difficult…and potentially messy with the salivating that ensued as we perused the options, but our friendly server was on hand to advise of her favourites! Also, if you want to go “off menu”, the chef has specials daily and is utterly flexible when it comes to extras/sides that might not necessarily be on the page too! So what did we start proceedings with? 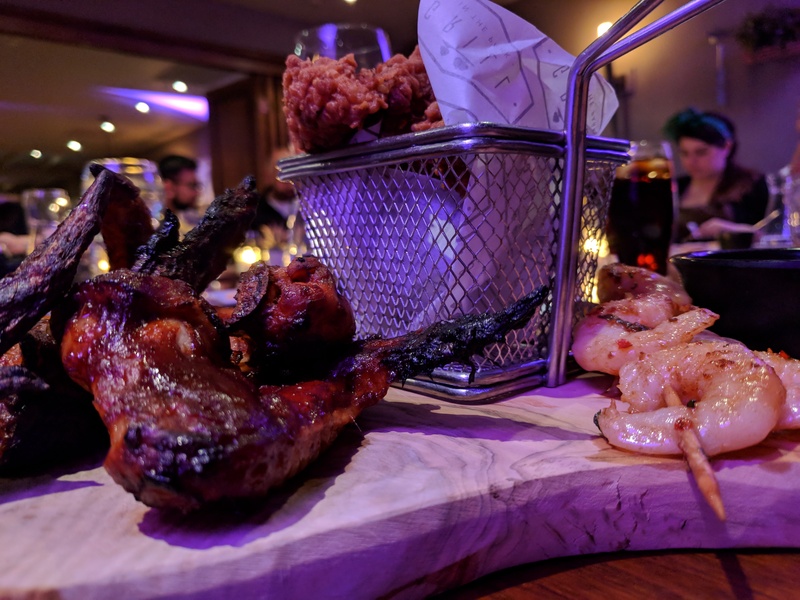 The namesake dish of course – The Grill in the Park Sharing Board. With all host of signature grill fayre presented in copious amounts, if you are wanting to get a taste of the best of The Grill in the Park, this is THE thing to order. 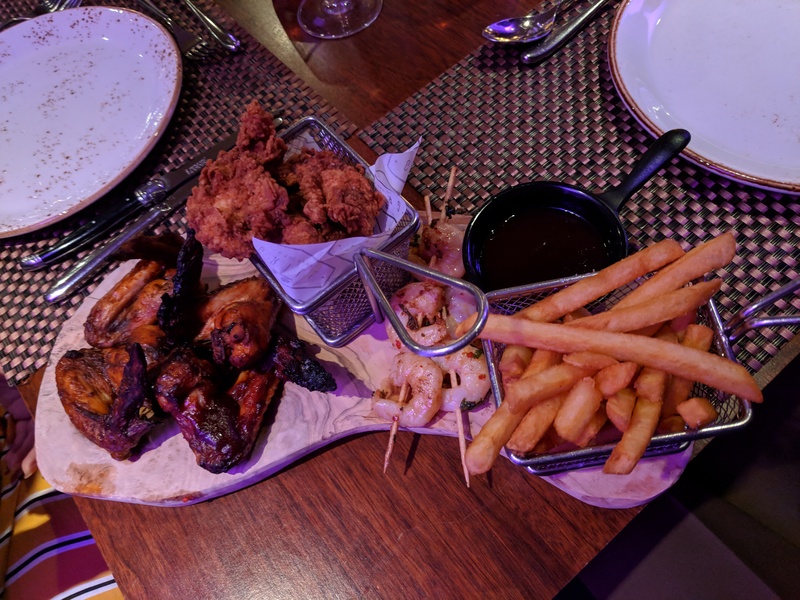 Buttermilk chicken, chicken wings, grilled prawns and skinny fries, accompanied by the most finger-licking BBQ sauce you could wish for! The chicken in both of its forms was succulent and moreish, subtle in spice and flavour, so it truly sang when dipped in the sauce. The prawns were plump and had a great taste of chilli and garlic that wasn’t overpowering but left you wanting a huge heap more! The skinny fries were crisp and had good seasoning. As self confessed chip addicts, this could become a regular haunt to get our fix! If this was the starter, bring on the mains…although we were pretty dangerously stuffed already with the generous starter! In fact…you could well have that as a main. But we DID go for mains! 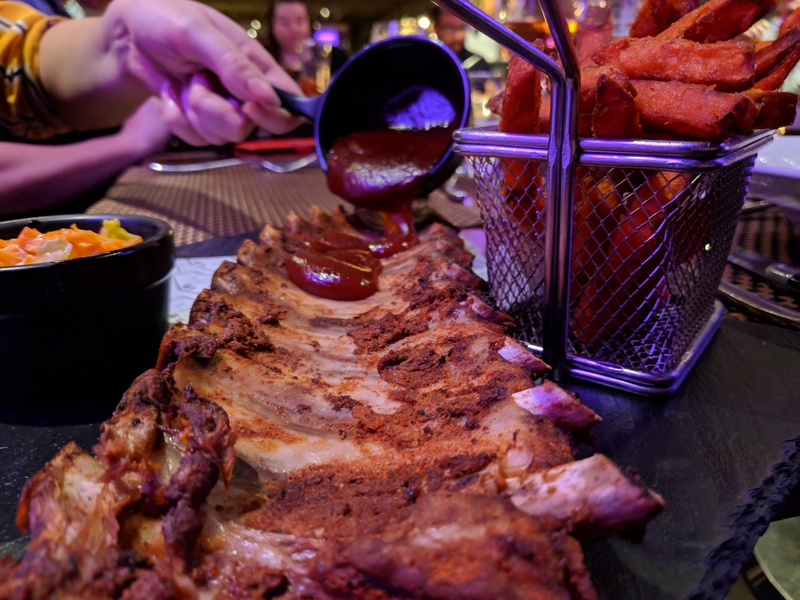 Mike opted for the rump of lamb with buttered kale and garlic mash with a side of tenderstem broccoli, whilst I went for my ultimate indulgence – a full rack of ribs served with Bourbon BBQ sauce, slaw and sweet potato fries. The food arrived quickly and we greeted it like two very happy cavemen being brought the best offerings from the fire! Mike’s rump of lamb was, put plainly, excellent. 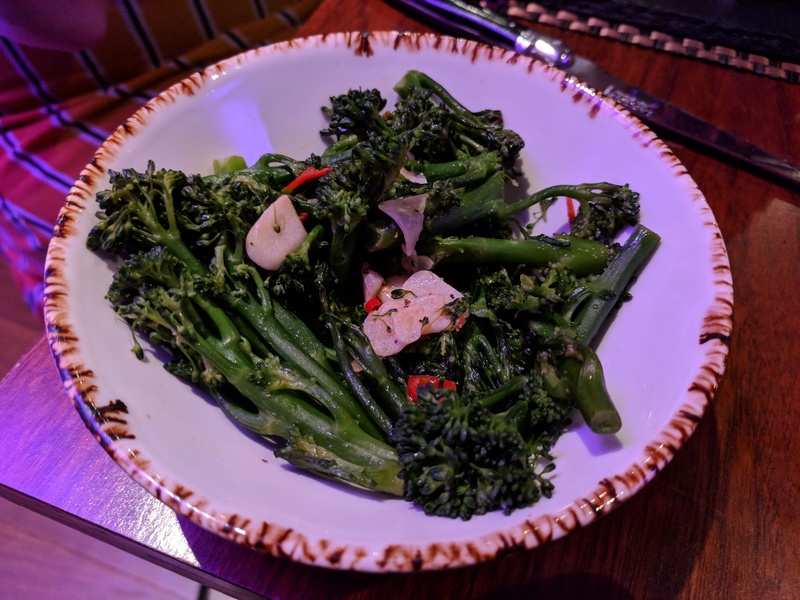 Soft, pink and full of flavour with buttery kale and deliciously garlicky mash – it was to die for and the extra side of tenderstem broccoli which was hot with chilli added a nice little extra kick. And my ribs? Well, they were worthy of a feature on “The Flintstones”, Wilma! Perhaps the half rack wold have been enough but upon tasting them, I definitely wanted ALL THE RIBS in my face. Cooked low and slow as described on the menu, the meat fell off the bone and melted in the mouth. The taste was multi-layered, as they had been covered in a spiced rub, and once you had poured that Bourbon BBQ sauce? Nice to meat you indeed!!! I liked the fact that the sauce was in a separate mini saucepan – so you could choose how much you wanted, which was a nice touch. The accompanying slaw was truly delicious – buttery, creamy and sinfully good with sweet potato fries that were crispy and well salted. You might have thought after all that food, there was no way on earth that dessert would happen?! Well, if you know us, then there is always room for dessert. But on this occasion, controversially, we actually shared. Shcoking scenes, I know! We went for the Baileys Creme Brulee which was served with salted caramel mousse. And let’s just say – it was all we could want and more! The creme brulee was ladden with the sweet creamy boozy hit of our favourite tipple and that salted caramel mousse? Well – it should be illegal! Buttery, caramelly yumminess that was cut through with a good amount of salt to heighten the sweet hit. Possibly the best salted caramel ANTHING I have tasted. Because let’s face it – things that say salted caramel rarely deliver exactly what you think you want it to, but this did in spoonfuls…and we wanted more spoonfuls! So was it nice to meet/meat the Grill in the Park? It’s a firm yes from us. Here at FDJ LDN we are all about the “aspirationally attainable” and this sits beautifully in that bracket. It’s a well priced taste of luxe in a chic, contemporary environment within beautiful grounds. Firmly placing as one of our new local haunts – we will definitely be back to experience the thrill of the grill again. If you enjoyed this review, be sure to check out our other food reviews here for a slice of something tasty! P.S. Want moretasty treats, to follow our home journey or just want more FDJ LDN-ness in your life? Simply subscribe to our mailing list then! Just click the “Subscribe” button at the top right of the page and you’ll get our posts as soon as they go live! You can also follow us on Bloglovin’ if you like. And be sure to check us out on social media! Follow us on Twitter, Instagram and Facebook. *We were invited to dine at Grill in the Park in exchange for review– all choices and opinions are our own as always though fillies! Looks like an epic meal! Delicious looking ribs. Oh we went to the Manchester version of this, Grill on the alley, for my first date with my husband. I love the menu, it’s always amazing! OK now that meal looks absolutely delicious! I’ve not heard of this restaurant before but I am pretty sure I need to check it out! It’s refreshing to see that they have great veggie options too! My husband is a meat eater but I’m not, so great to get tips on places we could both enjoy 🙂 Great post! I’ve been trying to stick to a vegan diet this month (this gave me the wobbles I’m not going to lie!!). The food has my hubbys name written all over it, I may have to treat him to a pre-christmas supper to thank him for supporting me in my month of plant based cuisine! Now I’m even more sad that I haven’t managed to get to the Grill in the Park despite living so close. 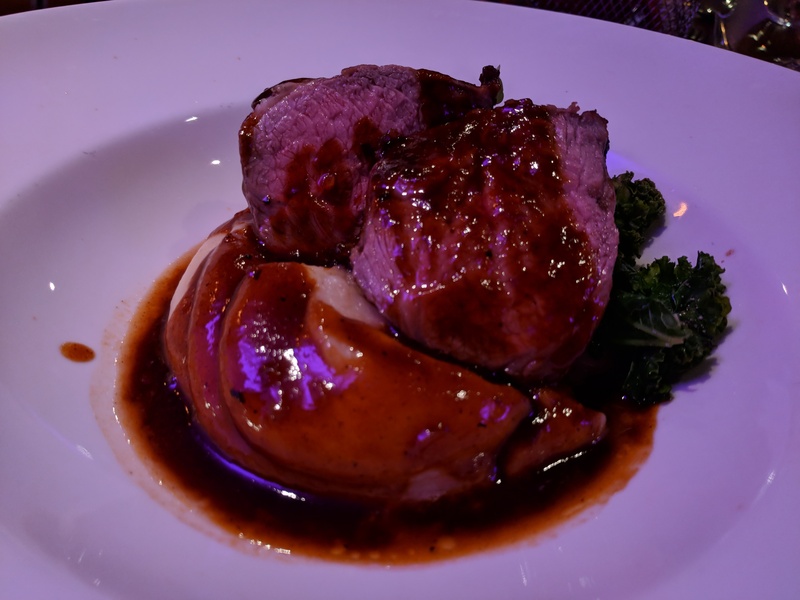 The food looks and sounds fantastic – I like that they seem really generous with their sauce quantities and the chilli broccoli sounds incredible.